That awesome piece of D3 merch, the Book of Cain that we posted about a few days ago, has mysteriously vanished from Amazon.com. The page link now returns a 404, and when KuangTu tried to get more information, Amazon tech support had no explanations to offer. The book is still listed on Amazon UK and Germany, but probably only until Blizzard reads this and gets their international act together. 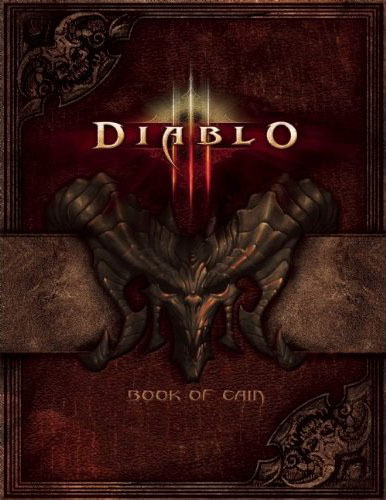 I’d been wondering why the book was listed without any official announcement, or even an @Diablo link to it… and I guess now we know. Apparently it wasn’t meant to go public yet, and once it did Blizzard took steps to remove the listing. As usual with their secrecy, this seems inexplicable; the book wasn’t due to release until November and there weren’t any spoilers in the description or cover image. If you are one of the numerous fans who placed a pre-order before the carpet was snatched out from under your feet, I don’t know what to tell you. Presumably Blizzard will relist the book at some point, but you’ll probably have to order it again since it will have a different item code and such. Looking forward to this high quality piece of work.